As we embark on the third generation of smartwatches, it's becoming clear that round-faced design is starting to win out. 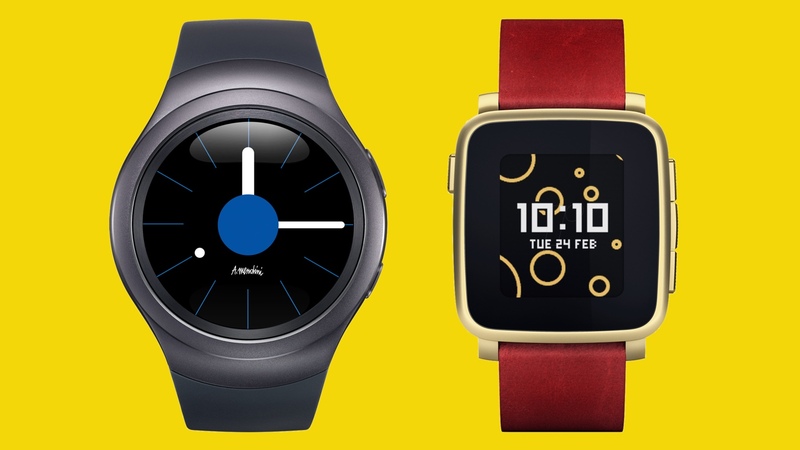 A quick check of the line-up of recent and forthcoming smartwatches shows an incredible move to round-faced devices. Samsung made the move last year, ditching the form-factor of the Gear 2 and Gear S for the flagship Gear S2, which is about to be superseded by a circular Gear S3. Likewise Asus, one of the premier purveyors of cut-priced square-look smartwatches, appears to be heading the way of the circle, if an FCC application for the ZenWatch 3 is to be believed. Add to that announcements from Fossil (round), Michael Kors (round), Hugo Boss (round), Titan (round), TicWatch (round), CoWatch (round), and there's a definite pattern emerging in the smartwatch world. In fact, of the big names of the smartwatch world, just Pebble and Apple are flying the flag for watches with corners. It's not surprising: in an investigation by Wareable last year into round and square faced watch design, an industry expert told us that circular pieces made up 80% of the classic watch market. And it seems the cut-throat world of smartwatches, which still seems to be following the tech model of a few big winners rather than even playing field of Swiss watch design, is heading the same way. However, the curious quirk of the wearable tech market is that while over 80% of the market has opted for round, the Apple Watch is by far the biggest selling device. This bucks the trend in a big way, and while the drop in sales has a lot more to do with shape alone, Apple's competition rounding on its design may be starting to bite. Common complaints about interfaces seems to be a non-starter. There's been some fabulous efforts at round UX design, with Android Wear and CoWatch's Cronologics OS both decent examples. More of an issue has been the flat-tyre dead spot, which affects surprisingly large amounts of rounded watches. Even new devices like the Michael Kors Access are still making way for the light sensor at the bottom, and it's the biggest issue holding back the form factor. Questions over which design is best will continue to rage, and it's still truly a matter of taste. But it seems to be that the industry is choosing sides in the round vs square debate, and those on the wrong side may have much less choice in 2017.